If you know me, you know I’m not exactly a big Bruce fan. I’ve always felt that he was a one dimensional player that looks like the “CashNet USA Man”. He’s either going to hit a home run, strike out, and be a defensive liability not only in right field, but we get to look forward to an occasional spell at first. Not to mention, I was a huge believer in Dilson Herrera (ahem ahem!!). Wait, wait… so why am I advocating that the Mets hold onto Bruce? I know fans (like myself) are eager to see changes that are going to benefit the team, and with a player like Bruce, you don’t mind taking a chance on a prospect that may be a couple years away from being an impactful player. So again, what good enough reason is there that should warrant the Mets hanging onto him? Coming off of a wash year, Bruce has the first month or two of this upcoming season to play in right field on an everyday basis with Cespedes to miss time due to surgery. It’s a fitting opportunity for Bruce to have a good spring and start to his 2019 season without worrying about where he’s going to play and I imagine that will raise his confidence as well as his trade value when scouts see the Jay Bruce they’re accustomed to, from his Cincinnati days. 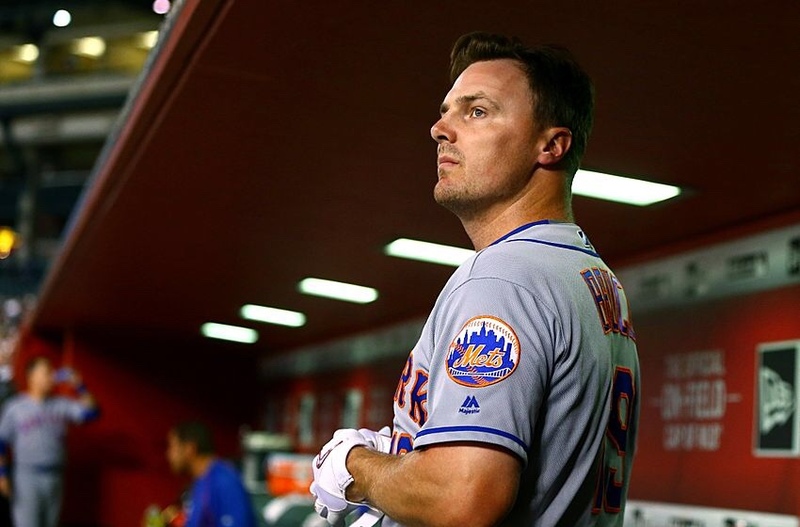 Any team checking in on Bruce will likely be a playoff contender, and with Bruce having two more years of control, the Mets could either dump the salary and take a lesser quality return of prospects. Or they can also take on a big portion of Bruce’s remaining contract and get a much better quality prospect or multiple prospects in return. There’s also risk to all of this, however. If Bruce has a bad go around at Port St. Lucie during Spring Training and cold start to the season, I don’t think it’ll hurt his value too much from what it is at the current moment, but it definitely won’t get any better. It may force the Mets to trade for a minimum return at the July Trade Deadline in form of a failed starter turned reliever. Previous Cano to the Mets? Next Could Martin find himself in the Mets line up?